Tackles thorny questions and tensions at the intersection of Scripture and science What does it mean for the Christian doctrine of the Fall if there was no historical Adam? If humanity emerged from nonhuman primates-as genetic, biological, and archaeological evidence seems to suggest-then what are the implications for a Christian understanding of human origins, including the origin of sin? This book gathers a multidisciplinary, ecumenical team of scholars to address these difficult questions from the perspectives of biology, theology, history, Scripture, philosophy, and politics. 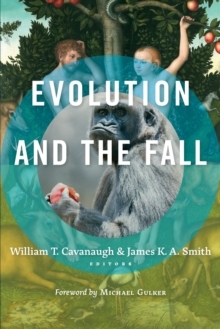 After mapping the territory of challenging questions surrounding human origins and the Fall, the contributors delve into biblical sources and traditional theological accounts as resources for understanding, consider broader cultural implications of the Fall, and propose ways of reimagining the conversation so as to move forward faithfully.